Have you ever played a trivia game and completely missed out on the most obvious answers? You might have forgotten who the current president is, or given wrong answers to questions like “what year did the second millennium AD start in?” or “what do cows drink?” (no, it’s not milk!). For Estonians, this might look like a failure to name the third-largest city in the country: Narva. Estonians tend to overlook this unique city which sites on the northeastern tip of the country, flush against the Russian border. Despite the fact that some 57, 000 people call the city home, Narva is often overlooked…but why is this? Perhaps the reason is not that bizarre after all: due to its proximity to Russia, Narva is a very Russian town. For location scouts, this can be a very lucky find: you’ll get to have “all things Russian” in your set, but without having to deal with the extra hassles of actually filming in Russia, a country infamous for its bureaucracy and corruption. So, how “Russian” is it? Though the city is technically in Estonia, about 94% of its inhabitants speak Russian, and only 4.1% are native Estonians. It wasn’t always like this, though. Before World War II, ethnic Estonians made up of about 65% of the town’s population. But much of the city was destroyed during the war, and during the reconstruction of Narva, the Soviet authorities prohibited the return of Narva’s pre-war residents. Speaking of reconstruction, though parts of Narva are quite picturesque, you’ll also find some of the ugliest architecture there, with tons of dismal cookie-cutter houses lined up in the outskirts of the city. Its unique mixture of medieval architecture (did we mention there’s a castle? ), picturesque river scenes, and bland industrial buildings offers a variety of unique settings to choose from in close range. Should you be looking for a location with a more traditional feel, you should definitely know about the city’s main landmark, Hemann Castle, is a 15th-century stone castle with a 167-feet-high tower. Founded in 1256 by the Danes, it was the first stone castle in the area and offers an authentically medieval Game of Thrones-type of backdrop. 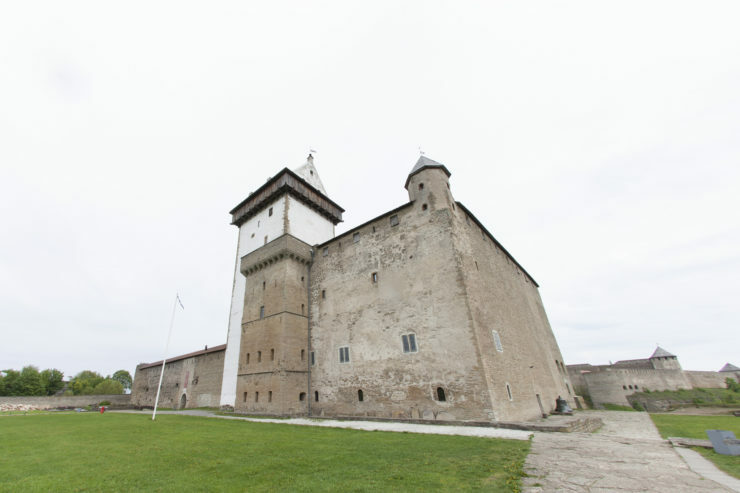 Today, the castle is easily accessible, and a formidable bribe should get you a filming permit in a nanosecond… just kidding, there is hardly any corruption in modern Estonia. The most incredible filming location could just be in a place you’d consider a bore if you didn’t actually check it out: a mid-19th century a cotton spinning factory. The Kreenholm Manufacturing building was founded in 1857, and it’s an architectural stunner, to say the least. 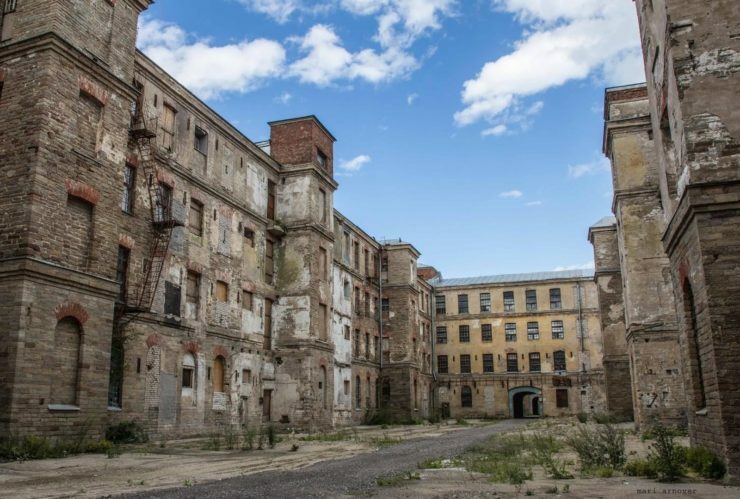 Situated on the “Island of Crows” on the Narva River, the expansive brick building with a tragic past was once home to 12, 000 workers, but fell apart in WWII, then in 1994 it was picked up by the Soviets. The building is a must-see for anybody in the movie business—seriously, please Google it right away and you’ll understand why words will fail to describe this spectacular 32000-acre marvel. The company went bankrupt in 2010, but you’ll be able to visit it, especially if you’re bringing Guillermo del Toro with you (and you should… he’d thank you for it). There are plenty of other reasons for bringing your production to Narva (or any other Estonian location), the Film Estonia cash-rebate incentive being one of them. This incentive is meant to support the production of feature films, feature documentaries, animation films, animation series, high-end TV-drama and the post-production of all aforementioned works. You can also apply for international production service or co-production to receive a cash rebate on up to 30% on eligible production costs. If this sounds like a plan, please contact us for more information!